P Guesthouse has easily the best views in Sangkhlaburi, no question. A deceptively sprawling complex, with restaurant terrace and its biggest and most expensive rooms at the top and a pathway through its grassy little gardens right down to a wooden jetty on the lake itself, the place has a somewhat Flinstones-like feel to it, but appears to have eschewed the so overtly ‘wild west’ image for which it has garnered a reputation (even if the walls of its restaurant are still lined with cowboy hats, tribal masks and replica guns, and even if most the male staff do look like cowboys of one form or another). The air-conditioned rooms are large and spacious, and the bathrooms massive, even if both lack any real charm once you’re inside. The whole place is immaculate, though, while service is friendly but unobtrusive, with staff at times seeming to outnumber guests! A whole range of services is available, from bike and motorbike rental (by the hour or whole day; 70B per day for a bike, 200B for a motorbike) to full tours and day trips including elephant trekking and bamboo rafting (they also hire out kayaks). Internet access is available by the hour from two terminals in the restaurant, and there is free wi-fi – though both are prone to being temporarily knocked out by the odd storm. Food is not the best in town, but there is a wide range of good Thai and international fare on offer nonetheless, and it’s all reasonably priced – also try the spicy Burmese curries. The cute selection of locally-produced jewellery at reception is also worth a look. It’s the views, though, that really steal the show for P Guesthouse. 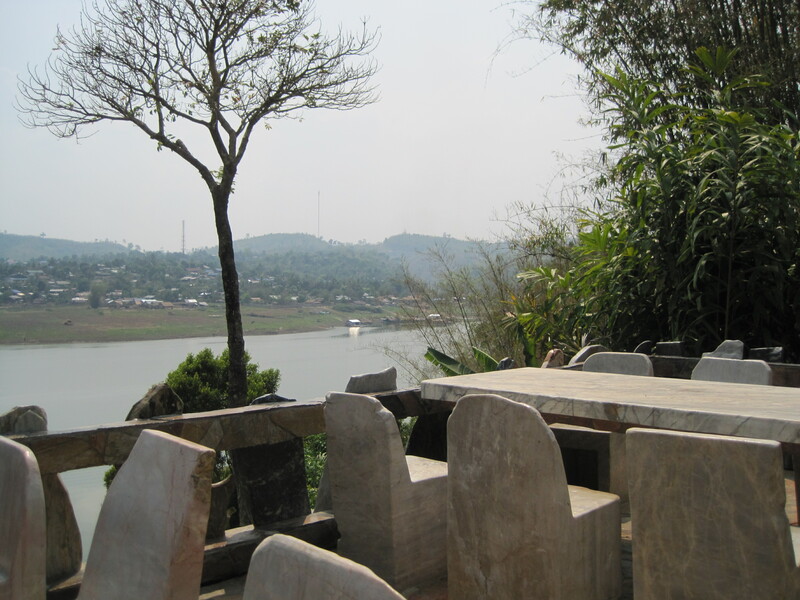 Whether from your balcony at the top of the site, or from a seat on the stone terrace in front of the restaurant – easily the most Bedrock-inspired part of the whole place – just about every Sangkhlaburi sight is within view: the lake directly in front, the golden stupor of the famous Wat Wang Wiwekaram temple on the opposite bank to your left, the Mon village to the right, and the rickety old wooden bridge straddling the water. For sunbathing, for swimming in the lake, for adventure sports, for massages (the staff will even bring in a couple of lovely Burmese ladies for an hour or two’s treatment on the grass, if you ask) or simply for eating, drinking and staring out at nothing, P Guesthouse has it all. Even when it’s apparently full with guests, it can feel as if you have the whole place to yourself. It is a top spot for relaxation and, if that is what you’re after, you won’t do better than this.